The use of SMTP for the mail service of your SocialEngine website is considered a good practise. It will allow you to send the system emails on your website through a certain email account and ensure their successful delivery. Our SSD SocialEngine Hosting packages allow you to create unlimited email accounts. We also have an excellent tutorial on how to manage cPanel email accounts. You need to access your cPanel account and then navigate to the Mail tab and Email Accounts. You can enter the new email account name and the password for it. When you are ready with the configuration, simply click on the Create Account button. To access the email account you have just created, simply click on the More button next to it. You will notice two options, one of which is Access Webmail. It will allow you to access your account on the server. 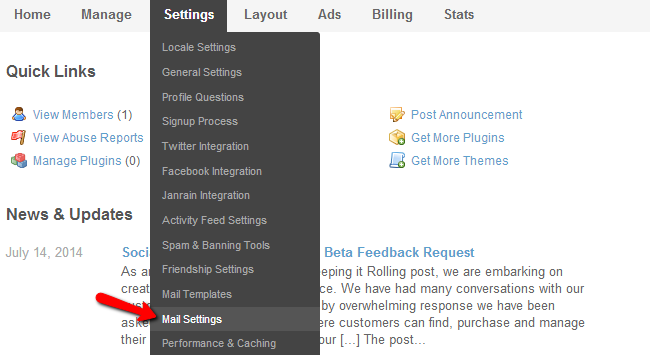 The next step is to configure your SocialEngine installation with the new email account. 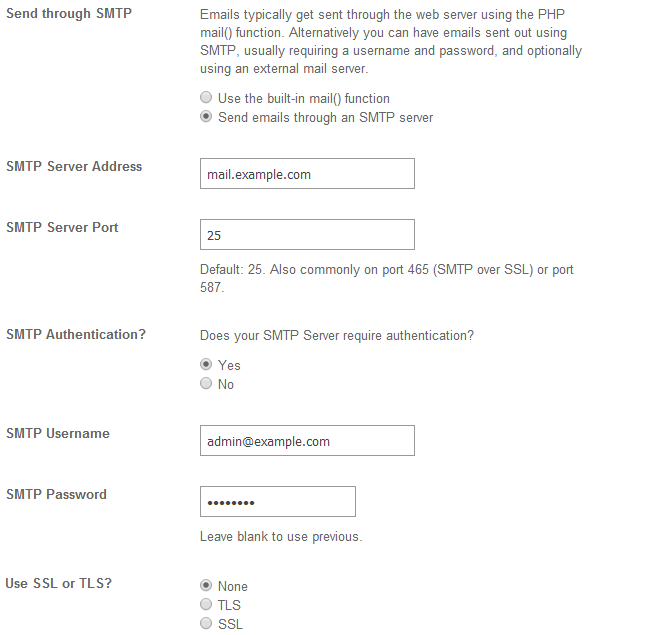 To set SMTP on your website, you need to log into the administrative area first. Then simply locate the Settings tab on the main menu and then Mail Settings.